Every author, like it or not, needs to develop a platform, an audience. I am no different, and have begun a long-term relationship with social media. For the past year and a half I have been grappling with how much of myself I should/want to reveal: I dance around the issue of addiction that is at the heart of Edges. The death of Amy Winehouse has me thinking again about why my soul continued nagging at me to keep at it, to tell a part of Luke's story, of Ava's story. I don't know anything about Amy Winehouse other than that she was prodigiously talented both at her music and at being a train wreck. She was 27, she never got help. Did she want it? It won't be new to anybody that I've had a wild past, and have friends and family members die from their addiction - my uncle died from cirrhosis of the liver. So, it's not going to be a far stretch to tell you that I have even more of a personal connection to alcoholism and recovery. I was 25 years old and in the MA program for Drama Therapy at NYU when I realized that I wasn't going to be able to help anybody unless I took a hard look at myself. I looked good on paper, but I was spiritually bankrupt inside. I didn't want to/ didn't know how/ couldn't grow up. And I had a habit of picking friends and boyfriends who had bigger problems than I did, so I could always point to them as examples of how well I was doing. Ha! I call myself an alcoholic because I need to remind myself of what happens when I drink, although I have been clean and sober for almost eighteen years. Recognizing my demon has enabled me to become more than I ever thought possible: a wife, a mom, a writer, a teacher, a friend. I've always had a complicated but deeply personal relationship with God, with sobriety, and even with the concept of "help"- and I know I'm not alone in that. In Edges, Ava finds herself in an Alcoholics Anonymous meeting. She is surprised by the turns her life takes and also by the fact that it does not immediately make her life better. I portrayed the beginnings of sobriety as realistically as I could. Recovery and the way people talk about it can be very polarizing. A. A. both helps millions of people, and of course it doesn't help just as many. The statistics for getting and staying sober are very grim, but that doesn't mean twelve-step programs don't "work". That doesn't make it less valuable to the people who are able to regain control over their lives. Amy Winehouse died of substance addiction, but her parents are saying that it wasn't the addiction but the withdrawl that killed her. Still others are saying she had it coming - she had to pay for her outrageous behavior. FAIL. Really people? It is hard to seek help, especially when there are people who are out there who are so much worse than we are. (Just look at Charlie Sheen, or Amy for that matter.) Especially when our own denial would seem to be saving our lives because it is too hard to look at our shameful behavior. And especially when alcoholism and addiction are still stigmatized. Writing had been one of my ways out, of healing, of discovering and exploring who I am and what it means to be human. In this instance, I started writing this post not sure about whether I would publish it or not. Then hours later, I ran into Leah Epstein at The Voracious Reader. She is a YA/MG writer and curator of The Drinking Diaries. We "know" each other from Twitter, but had never met in person. Leah bought a copy of Edges and then an hour later emailed me interview questions for The Drinking Diaries, all related to drinking. If you are reading this, then I have published this post, and I am free to say I haven't had a drink or a drug since I was twenty-five years old, and that now my favorite drinks are coffee and/or seltzer with lime. Kudos to you for overcoming your addiction. This is such an honest, inspiring post and I think you are wonderful for bringing to light one of the more unpleasant facts of life. You are a brave, strong woman. Kudos for posting this! I do think sharing our own struggles helps other people. Thanks for sharing! It's great to read your personal stories and hear the "untold" stories behind the novel. Clean and sober is the way to be! Oh gosh guys - so great to wake up and find you comments = thank you for reading and for your support! Basically, "what they said"! Thanks so much for sharing. Great blog, and thank you so much for your honesty. Congrats on being almost 18 years sober! Thanks for sharing such a brave, honest post. You are such a gifted writer. I, too, appreciate your sincere honesty. You have had unique life experiences. I am thinking you probably could add a vampire somewhere in your story telling. Give the readers what they want. Vampires have an addiction, too, you know. You may not want to write this genre but you could - and do it so very well. I did not know this about you, Lena. I have not struggled with addiction, but it is in the family. Thank you for posting your story! Thank you Jacquelyn, Kaley and 7:30AM - and 7:30, I agree: Vampires are a wonderful metaphor for addiction! Anne - I appreciate your comment! Thanks for sharing this part of yourself. I often find that when you "write what you know" you find others who can relate and appreciate that they're not alone. Brave, beautiful one, thank you! Stephanie - I HAD to write this book, you know what I mean? And Jen! Thank you for your never-ending support! This is awesome! Thank you for sharing your thoughts and your recovery experiences. I found your blog through Leah and will follow it from now on! If you're interested, I just published an essay on TheFix.com regarding my own recovery (http://www.thefix.com/content/going-solo). Lena, thank you for being so courageous. It takes guts to lay it on the line. You are doing such good with this moment of sacrifice of self. Just makes us love you more. 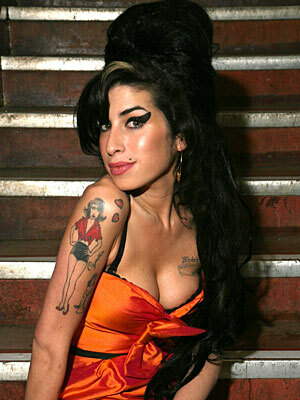 I thought of Ava and you when I heard about Amy Winehouse, and your uncle. Waves of love dear. Just waves of love coming your way. Drinkingtodistraction - I'm so glad that you found me and introduced yourself. I will definitely check out your blog! Cherie - a blog award game! I must play! Word Diva, your comments always bring tears to my eyes - thank you, thank you for your love and support! Gae, you are pretty awesome yourself - and I TOTES rock it with the lime! What a great post. I love the compassion I hear in your voice for this young singer whose life was lost to her addictions. Yikes indeed if all we can say is "they had it coming." Yes, thanks for sharing your story, and for your passion to help others with their addictions through your writing and just being you. Thank you Dianne - I'm so happy to see your name here! Have accomplish, as an alternative for earth, seasoning always ready. iwc replica sale cinnamon stays, nutmeg, not to mention peppercorns keep going much longer as opposed to his or her's earth counterparts. Solely have a wonderful grater and / or mortar & pestle towards grate these products to a satellite dish when ever vital. His or her's ways will continue to be healthy much longer not to mention conserve your out of your prices from switching a omega replica sale. When ever making some meat, put it in your tray concerning her end, & allow the excess weight generate towards the tray. The side possesses a pocket or purse from excess weight at the modest brink, and then the flavorful, unique excess weight creates amazing-added blend while you go on to prepare a meal a meat fixed concerning every different longines replica sale. When ever deep-frying foodstuffs, usage longer tongs place typically the products in your petroleum, still handle these products less than typically the oil's covering for a number of a few seconds previously removing. This element helps typically the not in the food stuff come to prepare a meal, hublot replica sale light & protecting against it again because of sticking to the actual of this fryer and / or vessel. When you are making steaks at the cook and / or in your broiler in your cooktop, make certain you have got some spatula always ready to turn typically the steaks. Abdominal muscles to train on a hand to turn typically the cartier replica sale for the reason that that will pierce typically the not in the meat not to mention launching typically the lovely juices in just. Take on typically the help and advice which are uncovered through this report to a the kitchen area and reveal making.